Our family owned and managed company has been building RVs for over 25 years. Using only high-end materials, we handcraft each fully customizable unit from the frame up to accommodate your lifestyle — and to last for the long haul! We build our own chassis in-house, using only American steel, making them heavier and more durable than the “cookie cutter” units sold at dealerships. The Summit frame is built on a 12-inch I-beam with a 2-by-6-inch box tube measuring 3/16-inch gauge. The chassis is designed specifically for the floor plan, ensuring proper load management (pin weight) and ample cargo capacity. Dexter axles with traditional leaf springs and shock absorbers are standard equipment on the Summit. The Majestic frame is also built on a 12-inch beam and box tube assembly. The 2-by-4-inch box tube continues to the end of the unit beneath the I-beam, and a 2-inch spacer is welded on at the axles. This ensures a level ride when the RV is hooked to the current generation of towing vehicles. Each frame is designed to fit your custom floor plan. Depending on the size of the unit, the box tube gauge will be 3/16-inch to ¼-inch steel. The Majestic chassis features MorRyde IS axles and suspension as standard equipment. Both the Summit and Majestic feature fully hydraulic slide mechanisms as standard equipment on all slides, including the bedroom slide. Optional bedroom vanity slides on the Summit series use the Schwintek slide mechanism. New Horizons RV installs plumbing and electrical components with painstaking attention to detail. Featuring a manifold water system with PEX tubing, our fifth wheels are plumbed like a high-end home. Our electrical components feature custom wiring harnesses, color-coded 12-volt wiring, LED lights throughout the interior and multiplex lighting systems. 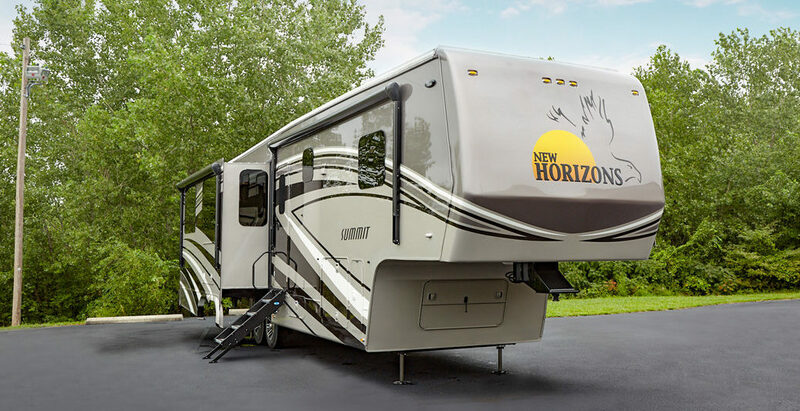 New Horizons RV uses an old-school technique called pinch-rolled lamination to create structural components with our roofs, walls and floors with fewer aluminum studs. We use high-density Styrofoam in our walls, roofs, floors and slide-room floors. Seals around each slide room have two wipers, and bulb seals, ensuring a quality, air-tight seal whether the room is extended for use or retracted while traveling. Both Summit and Majestic Models feature a radiused roof, with XTRM PLY PVC roofing material. This roofing system offers the strength and durability previously featured in our fiberglass roof, plus a radiused corner for better water shedding and long-term sealant upkeep. 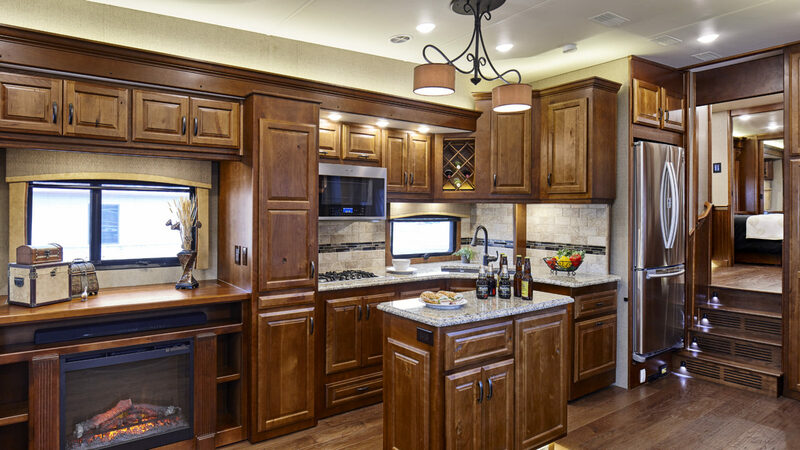 New Horizons RV builds cabinets with only real wood products! We feature solid cherry cabinetry as standard equipment, with mission-style doors and drawer faces. We offer three stain colors and different door profiles, as well as fully painted cabinetry. All face frames are glued and pocket screwed, creating a cabinet that will hold up to everyday use and the rigors of going down the road. All drawer boxes feature dovetail joints and maple wood with a urethane finish. Our cabinets are built to look beautiful, but more importantly, they’re built to hold up to a full-timer’s demands. 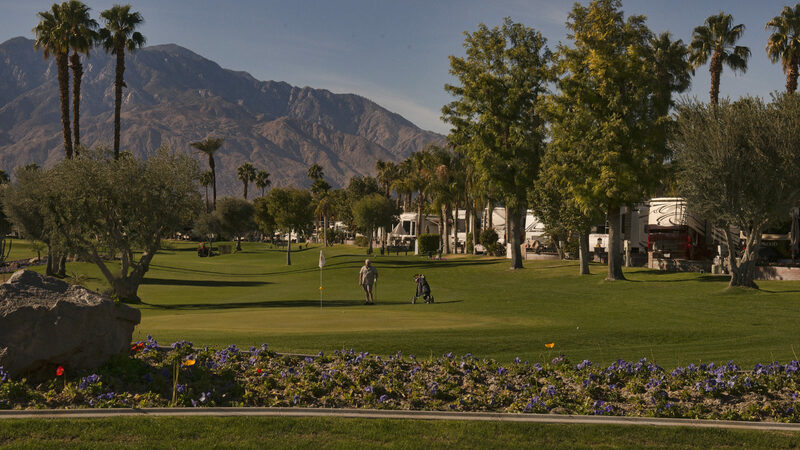 All of our units feature full-body paint. The units have four colors of paint and two layers of clear coat. Five different color combinations are available as standard. Custom colors are optional, as well.